The Rohingya people's long history of forced displacement tells us of the dangers of repatriation from Bangladesh before their safety and rights can be guaranteed. Last week, trucks waited idly at Bangladesh's border to transport Rohingya refugees back to Myanmar. But not one of the refugees agreed to go. The impending return of the Rohingya is a disaster waiting to happen. There was no transparency in how refugees were chosen for return, and reports indicate that selected refugees have fled the camps or attempted suicide. Once the media spotlight fades, efforts to repatriate refugees are likely to be reinvigorated. While discussions of the repatriation plan have been postponed until the new year, the situation must be closely monitored to ensure refugees are not forced or coerced into returning to Myanmar. The Rohingya people's long history of forced displacement tells us that premature return, while satisfying short-term political needs, will only backfire in the long term. The focus should be on: redoubling advocacy and monitoring efforts; obtaining legal status for the Rohingya; justice and accountability, as well as creating conditions for return in Myanmar; and pursuing durable solutions. What Do We Know From Past Experience? First, in both the 1970s and 1990s, Rohingya refugees were returned to Myanmar prematurely under less than voluntary conditions. These returns were clearly unsustainable: In 2017, some of the same Rohingya refugees were displaced for the third time to Bangladesh. There is no indication that if returns took place now the result would be any different. As with the previous two instances of displacement, there is no guarantee of safety – a minimum requirement for the Rohingya to return home. Moreover, there has been no justice or accountability for the crimes that compelled the Rohingya to flee, nor has Myanmar taken steps toward resolving their statelessness. Without any meaningful signs of progress in Myanmar, returns will not be safe or dignified, as they should be under UNHCR's procedures for voluntary repatriation. Nor will they be sustainable. Bangladesh denies them formal refugee status and Myanmar denies them citizenship. Without these guarantees, the Rohingya may be subject to further violence. Without funds and freedom to rebuild their decimated villages, they won't be able to restart their lives. Without citizenship, they won't have the necessary rights and protections. The Rohingya will flee again – back to Bangladesh and further afield. Whether stakeholders support returns or not, they must be prepared for the potential fallout from it, including a sharp rise in humanitarian needs in Myanmar. Second, Rohingya refugees in Bangladesh do want to return, but only when they are convinced a safe environment is in place. Recent research suggests that most would consider returning to Myanmar, but only when certain conditions are met: namely safety, citizenship, freedom of movement and religion, and rights. 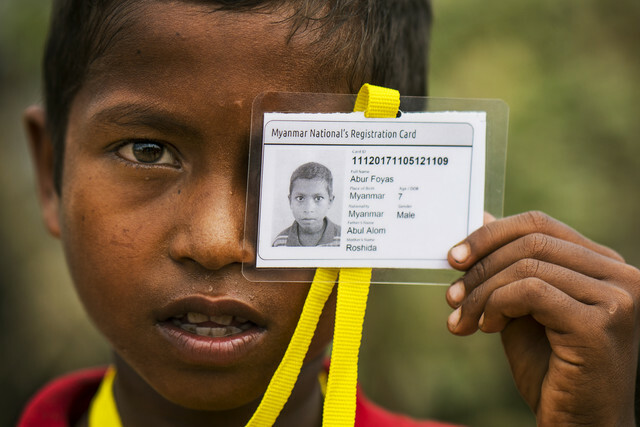 A critical component is lack of legal status: The stateless Rohingya will remain highly vulnerable while Bangladesh denies them formal refugee status and Myanmar denies them citizenship. Stakeholders must maintain pressure on Bangladesh and Myanmar to grant status and documentation for the Rohingya. But since these conditions are not in place, there is an urgent need to refocus on other solutions. As with return, any solutions should be based on the views of the refugees themselves. Responses should involve developing inclusive, robust strategies for meaningfully including the perspectives of Rohingya refugees in decisions that affect their lives. Finally, the international community must relieve pressure on Bangladesh to change the status quo. Bangladesh is bearing the brunt of responsibility for the crisis, having hosted nearly one million refugees since 2017. Amid the international community's failure to hold Myanmar accountable for atrocities, realistic fears that this crisis will drag on for years, diplomatic pressure from China, and a fast-approaching election in Bangladesh, it is unsurprising that repatriation is on the table. Yet it is clear that Bangladesh and Myanmar are not yet attempting large-scale repatriation: Based on what they've disclosed of their agreement, only 2,260 of the Rohingya, or less than 1%, were to be returned initially. Whether this is a half-hearted attempt to appease those pushing for repatriation, or to rattle donors into refocusing on accountability and long-term solutions, the Rohingya should not be forced to endure further distress and suffering amid such political maneuvering. The members of the international community must refocus their efforts on longer-term support for Bangladesh, and hold Myanmar to account for crimes against humanity and possibly genocide. The international community appears to have learned some lessons from past experience. This time, UNHCR and several other organizations have said they do not believe conditions are in place and refuse to support any returns at this time. Yet as the prospect of returns looms, it will be important for the United Nations, and international and Bangladeshi NGOs to redouble their advocacy and monitoring efforts. Sustained international media attention also stands to play a critical role in documenting events and informing the situation as it unfolds in the camps. Lessons from other large-scale refugee responses should spur discussion on solutions that involve a range of development, humanitarian and private-sector stakeholders to address the needs of refugees and the state hosting them. The Jordan Compact is particularly instructive on how multiple approaches can and should be pursued simultaneously, including traditional solutions such as resettling highly vulnerable refugees to third countries. Canada, for example, has historically resettled Rohingya and has expressed its willingness to take more. Ultimately, pressure must remain on Myanmar to create conditions for safe and dignified returns, including access to justice and citizenship. But until this happens, the international community should continue to support Bangladesh in hosting Rohingya refugees. History has shown us that Bangladesh will not host the Rohingya forever. It has also shown that premature returns won't work, and that ambitious agreements such as the Jordan Compact can create international solidarity with states hosting large numbers of refugees. Myanmar, states in the region and the international community have failed generations of Rohingya people. It would be unconscionable for it to happen again. *Caitlin Wake is a senior research officer at the Humanitarian Policy Group at the Overseas Development Institute.